There is not a lot you can say about a $1 coffee. The price point serves to both set expectations and define user experience, at least if “Predictably Irrational” by Dan Ariely is spot on. 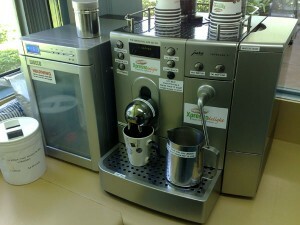 I am sure that this was not the idea when Xpresso Delight were asked to bring the machine in. The price point was set to cover costs. The coffee machine is very straight forward. It can produce a coffee without milk, and a coffee with milk. The milk will be hot when it comes out. I could not spot the difference between pushing the flat white button and the cappuccino button. To be fair I never actually tried them either. 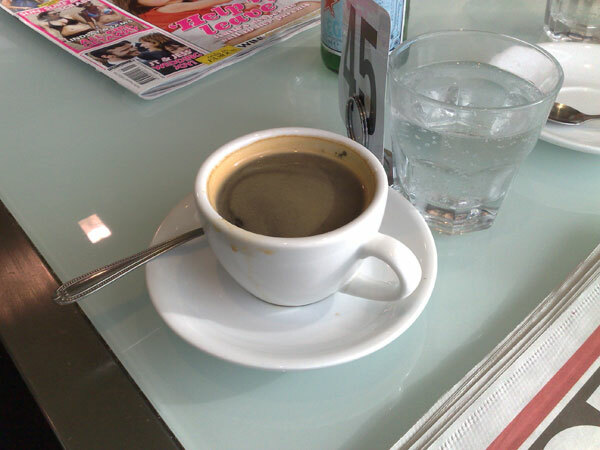 The coffee is drawn long and drunk without sugar or milk. 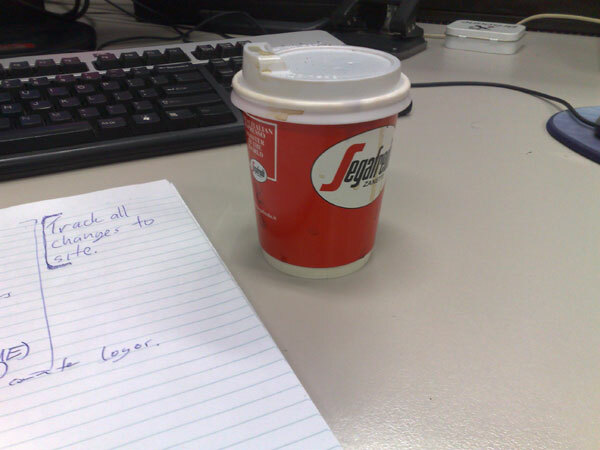 It does the job, and for a $1 coffee, it sure beats what I used to get out of a plunger. If you work somewhere without a cafe in walking distance, there are options. If a coffee machine is too much of an expense, get one in like Xpresso Delight. A few blocks away from Brunswick street there is a shopping and apartment complex called Emporium. According to their website, there are “…over 35 specialty retailers, restaurants and cafes and parking…”. They might be lying about the parking though. I end up going to a cafe called Sirianni’s there most sundays to meet up with one of my sisters. It is actually a rather large deli with a wide range of stuff, but mostly, I am there for breakfast, specifically, the Emporium breakfast. For not too much, you get a pile of bacon, tomato, hash browns, eggs, sausages, mushrooms and some toast. For the area it is fairly well priced for the quality and the quantity. The coffee is good too, though for me, I am mainly there for the breakfast. 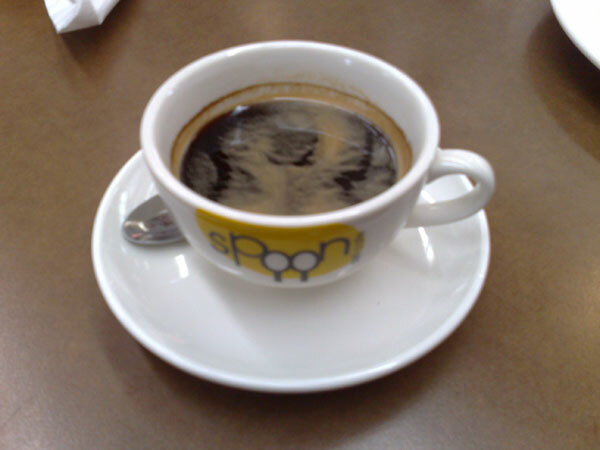 Spoon does make coffee and they do serve breakfast, but there are better places to get the latter. The food is not too bad in itself, however it is overpriced for what you get. With a range of other good cafes within a few minutes’ walk, there is no reason to eat at Spoon. The deli section looked interesting, though no better than a suburban specialist store, or a boutique market like Farmer Joe’s in Kedron. The product range was as large as the space allowed and focused on smaller items such as chocolates and snacks. 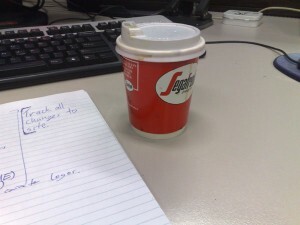 The coffee was largely unremarkable aside from its lack of flavour. If you shop in the James Street Market and you have parked nearby, it is worth getting a coffee there simply for convenience, but for breakfast you can do a lot better elsewhere.